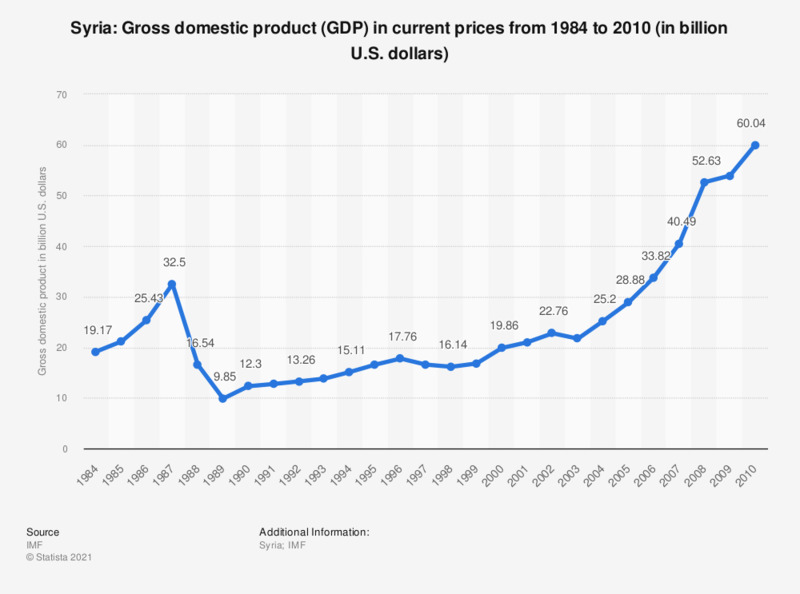 The statistic shows gross domestic product (GDP) in Syria from 2000 to 2010. Gross domestic product (GDP) denotes the aggregate value of all services and goods produced within a country in any given year. GDP is an important indicator of a country's economic power. In 2010, Syria's gross domestic product amounted to around 60.04 billion U.S. dollars. Figures have been rounded to facilitate the comprehension of the statistic. If Syria does not give up control of its chemical weapons would you favor/oppose military airstrikes? Do you approve or disapprove of US air strikes on Islamic State/ISIS forces and bases in Syria, to weaken them and push them back?